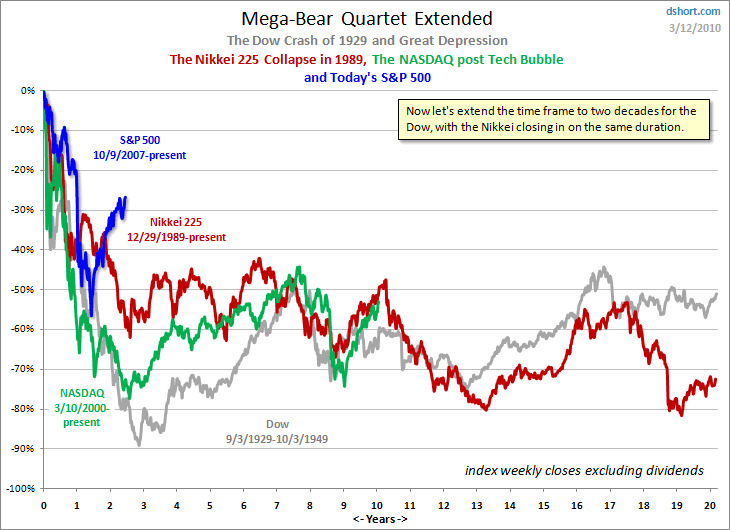 Financial adviser Doug Short (Dshort.com) has updated his “great bears” charts, and as you can see, the trajectory of our market looks way better than the great, multi-decade Nikkei bear. 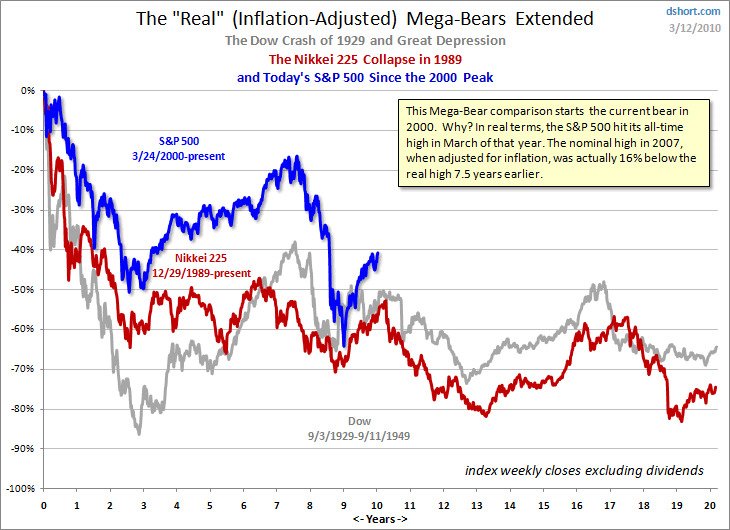 The spike we’ve seen over the past year is unprecedented. 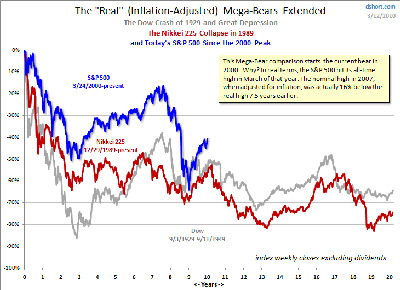 What if we go back to the real peak, back in 2000? Aha. Well in this case, the jury is still out. But we’ll know soon enough!